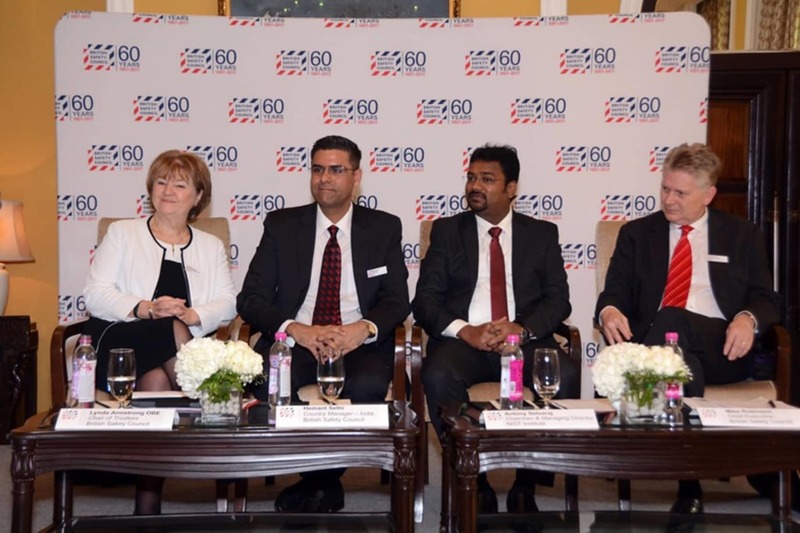 Today, the British Safety Council, one of the world’s most trusted leaders in health, safety and environmental management, has opened its office in Mumbai, which will serve the Indian market. The British Safety Council’s vision is that no-one should be injured or made ill at work. It believes that workers have a fundamental right to return home fit and well each day. The organisation works with companies of all sizes and in all sectors to help them achieve this aspiration, while promoting the business case for investment in proportionate health and safety management. In India, where around 80% of the estimated 465 million-strong workforce are not protected by the existing health and safety legal framework, the British Safety Council hopes to raise awareness of the importance of health and safety. It will also challenge traditional views and approaches, and support employers in adopting practices which better safeguard the health and safety of their workers. There is just one factory inspector for 506 registered factories (sources: see the attached document: Business Case). The construction industry, which is the second largest employer of workforce in India, contributes to 24.20% of all occupational fatalities, the highest in the country annually. In comparison, in the UK, there were 137 fatalities in 2016 and 30 of them occurred in the construction industry (21%). For over thirty years, the British Safety Council has been providing its world-leading products and services to the Indian market from its UK office in London. In the future, working in conjunction with its team in Mumbai, who have local knowledge and first-hand experience of working in India, the British Safety Council will be able to offer a better, more flexible and responsive service to both its existing and new customers in India. By establishing a new company, British Safety Council (India) LLP, it will offer a greater range of products (audit, training, e-learning, qualifications and membership) increasingly tailored to the needs of the Indian market. To support the delivery of its audit and training products, the British Safety Council has formed a strategic partnership with the NIST Institute, a leading safety training organisation in India. This partnership also represents a significant development for NIST as Antony Selvaraj, Chairman & Managing Director of the organisation, explains, “Over the last ten years, NIST has become India’s leading and most preferred safety training and consultancy company. Ranking number one among safety training institutes in India, we have until now resisted offers to partner with other organisations. However, the British Safety Council not only provides us with the opportunity to expand our business in support of its goals but also to increase the range of products and services which we provide to our customers. The British Safety Council is an organisation whose values align very closely with our own”. Hemant Sethi, the British Safety Council’s first India Country Manager, said: “I’m delighted to join the British Safety Council at such an exciting time. Not only do we have the opportunity to better support our existing customers, but by working with NIST, we will now be able to provide our full range of products and services to all businesses across India, irrespective of their size, sector or location”. Commenting on the significance of today’s announcement, Lynda Armstrong, Chair of the British Safety Council, said: “Over the years, we have worked with some of the largest Indian businesses, giving them access to the best health and safety expertise from around the world, while focussing on best practice assurance. By opening our office in India, we will build on this. In partnership with NIST, we will be able to cost-effectively provide our full range of products and services and support a more diverse range of customers”.